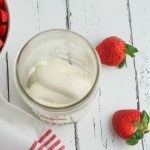 These Healthy Strawberry Cheesecake Parfaits are guaranteed to satisfy your cheesecake cravings without the guilt of eating too many calories or fat grams. 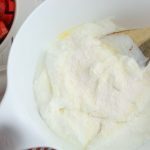 They require minimal effort to make and can be enjoyed for breakfast, a mid-day snack or a healthy dessert. 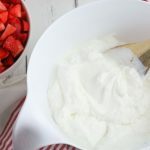 Pour yogurt in a large bowl. Slowly add pudding mix a bit at a time, stirring between each addition until all the pudding mix has been added. 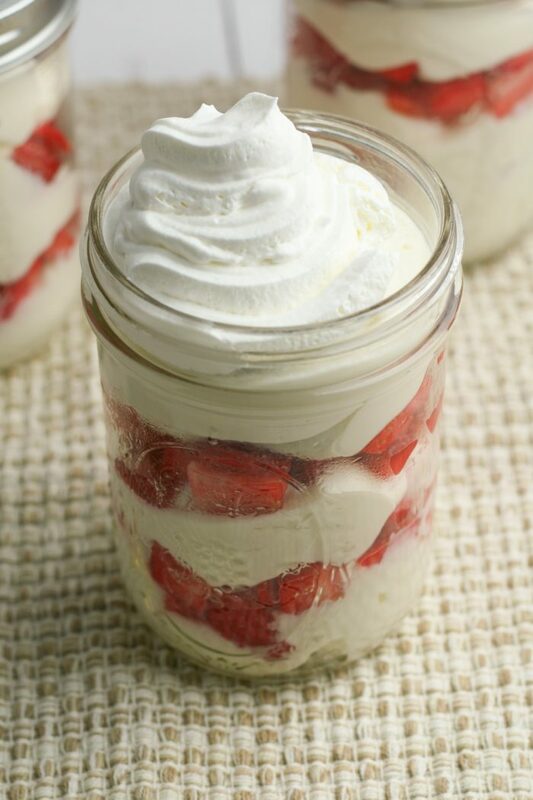 Layer 1/3 cup yogurt mixture and strawberries in each jar until the jar is filled and one cup of yogurt has been used. Place jars in the refrigerator to chill for at least an hour before serving. 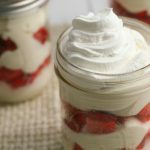 Top with lite whipped topping (optional and may increase Weight Watchers Points value). Each jar has 1 Weight Watchers Freestyle point.